Attention: Please confirm your date when purchasing: Your ticket is only valid on the date of the ticket without exception. Your ticket includes entrance into The Lab B and instagrammable photo opportunities, bubble tea tasting and bubble tea DIY. Five different Bubble tea tasting, and make your Bubble Tea in the lab area. Please choose the date and time you want to visit. Please confirm your date when purchasing: Your ticket is only valid on the date of the ticket without exception. The Taiwanese Collective has teamed up to create an immersive exhibition for the senses called Lab B to explore the countries most popular culinary — bubble tea. 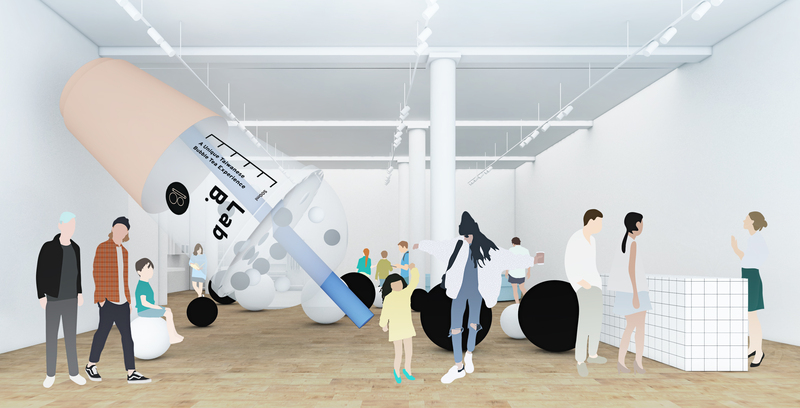 Think of Lab B as part funhouse, part exhibition, and part tea shop. 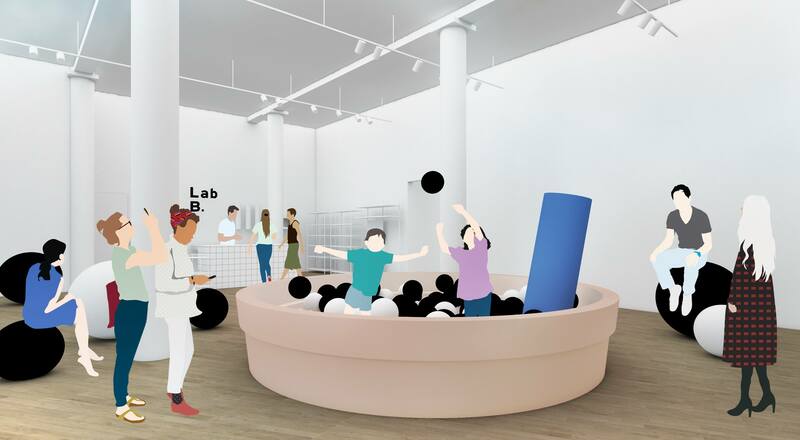 Lab B is a multisensory playground where you can come create, play and learn while sipping on your favorite flavors of bubble tea. Created by a collective of Taiwanese designers, powered by you. 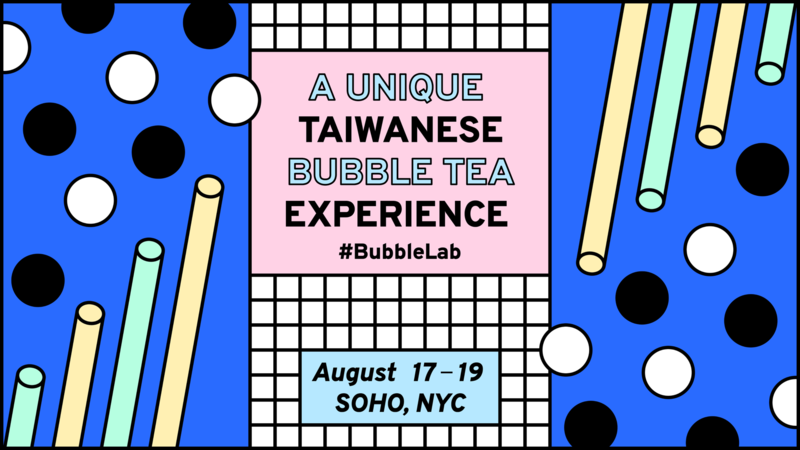 We have created a room for a tasting journey with an in depth look into the history of bubble tea and offer tastings from some of New York’s finest boba shops. Originally Bubble tea was an accident but that opened the door for experimentation as it moved across the world and mingled together with each cities local flavor. Now bubble tea can be found anywhere from Taiwan to Akron Ohio each place with its own unique number of combinations. In the lab you’ll experiment with different ingredients to create your very own, boba concoction. There will be experts on hand to give you some insight on the history of bubble tea so that you can create a unique recipe all your own. A one of a kind drink made to your own slurpy and sweet and chewy specifications. Remember, bubble tea was born by accident and changed over time as people experimented. In our opinion, Best. Accident. Ever. We are a collective of Taiwanese artist, writers and designers living in New York and interested in sharing our Taiwanese culture through immersive experiences and installations all around NYC. In our latest exhibition, Lab B, we are exploring the culture and spirit of Taiwanese experimentation and self-expression through our country's most popular culinary export — boba, or bubble tea — the sweet tea drink studded with bouncy tapioca balls that fans slurp up through famously oversized, technicolor straws.